The duo assembled its fifth album, Get Behind Me Satan, with similarly modest planning and production values: Its songs burst from conception to completion in a hurry, with few instrumental accoutrements and fewer commercial concessions. But the tone and tempo here both sound dialed-down, with piano and marimba frequently standing in for distortion pedals. At its best, particularly on the closing track “I’m Lonely (But I Ain’t That Lonely Yet),” the album’s focused restraint—White wrote the better part of the record on an acoustic guitar—achieves the heartfelt timelessness he was clearly after. Too often, however, the resulting batch of tunes lack teeth or, at the very least, direction. After a quick jolt with “Blue Orchid,” a single constructed out of little more than fuzz and falsetto, much of Get Behind Me Satan’s listless first half could use more muscle, as piano parts outnumber guitar riffs in a fashion that’s more about portent than potency. The result, on “White Moon,” adds up to a bit of delayed gratification that hardly bothers to gratify, while “My Doorbell” sounds for-all-the-world like an unearthed home demo by The Black Crowes. Fortunately, Get Behind Me Satan settles down and stretches out in its second half, testing the amps on “Instinct Blues” before settling into a more crowd-pleasing bout of rock whomping (“Red Rain”) and genre explorations (the agreeably old-timey “As Ugly As I Seem”). 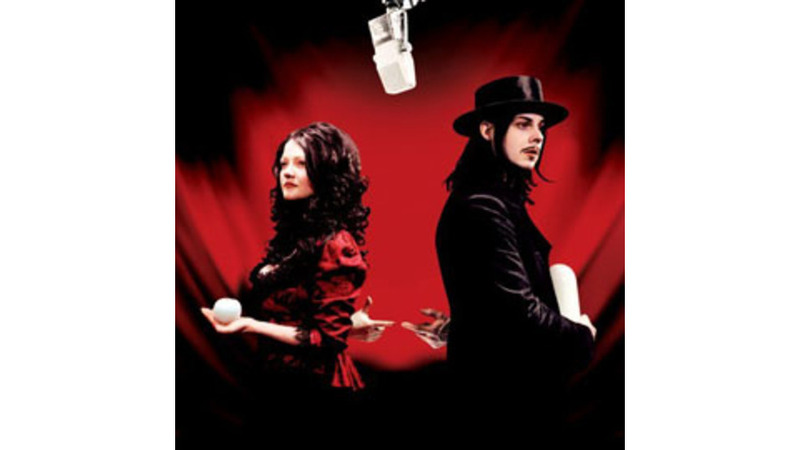 Get Behind Me Satan finds The White Stripes at an interesting career crossroads, as the desire to branch out in new directions meets the impulse to duplicate past successes and stay true to the roots of a decidedly roots-based sound. In trying to do all of that at once—keeping things simple, yet altering the building blocks in subtle but profound ways—the band takes a sidestep that’s as easy to admire as it is hard to love.